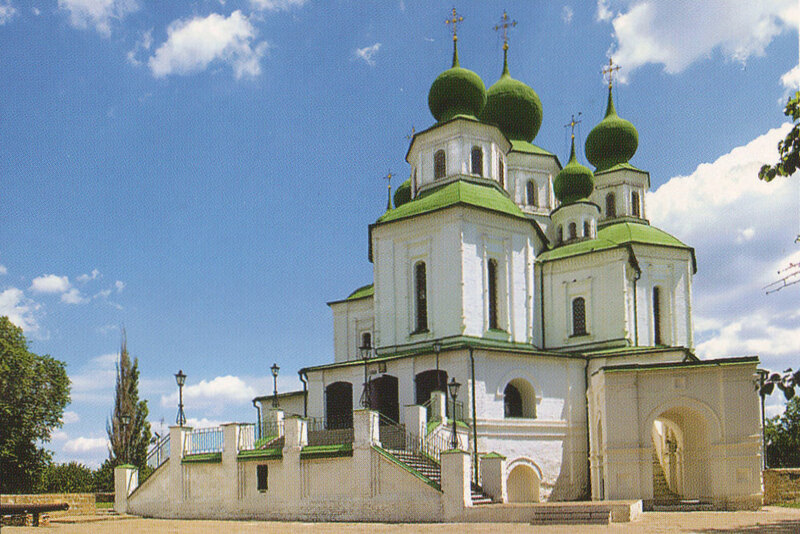 EN Constellation of architectural memorials of XVII-XVIII — is the pride of Cossack village Starocherkasskaya. 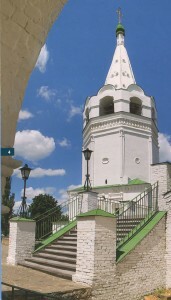 The main of them is Voyskovoy Voskresenskiy cathedral with A-type bell (The Host Cathedral in The Name of Resurrection of Christ) — the first temple erected on the Don (XVII-XVIII). 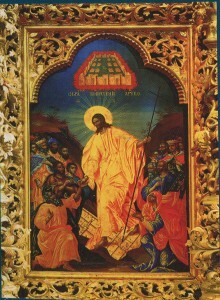 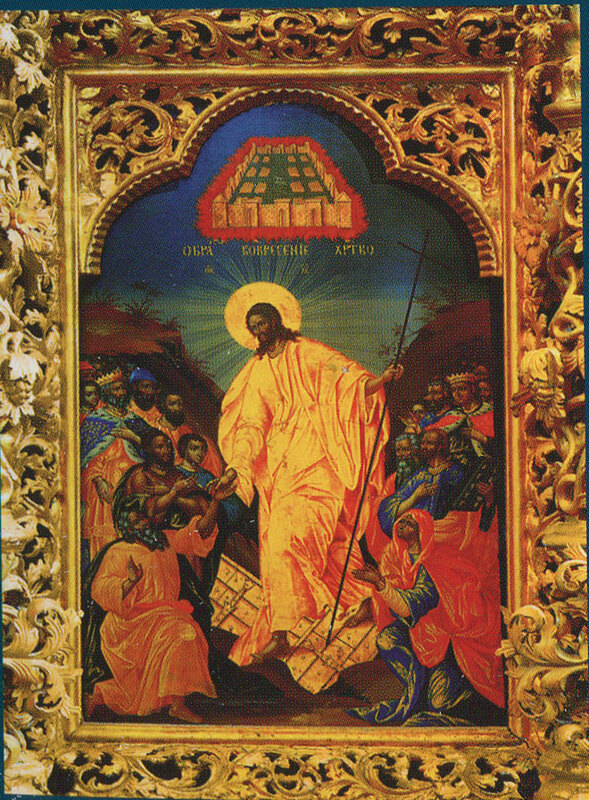 There are the unique carved iconostas. 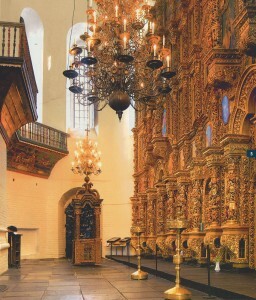 bronze church-chandeliers, choirs with ancient wall-paintings in the interior of the temple. Zur Innenausstattung der Kathedrale gehцren die einmalige geschnitzte Ikonenwand, bronzene Weihrauchfдsser und die Empore mit altertьmlicher Wandmalerei.